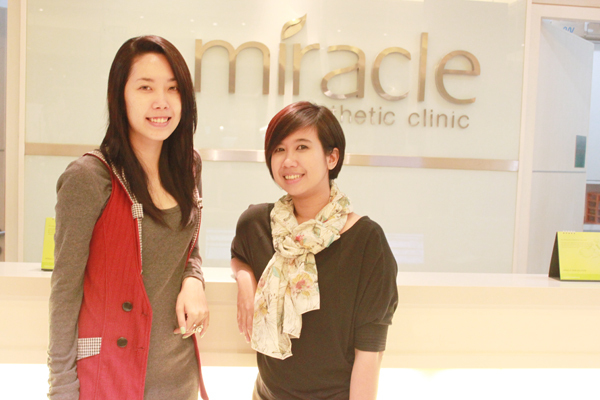 Last week I visited Miracle Clinic to try their best selling treatment, the Diamond Peel Plus. 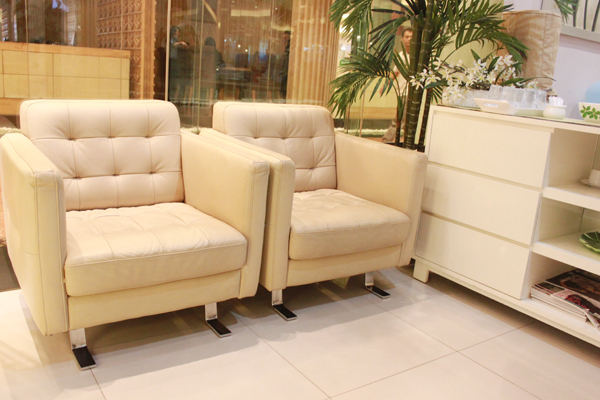 I've heard so many great things about this clinic and also their treatments. 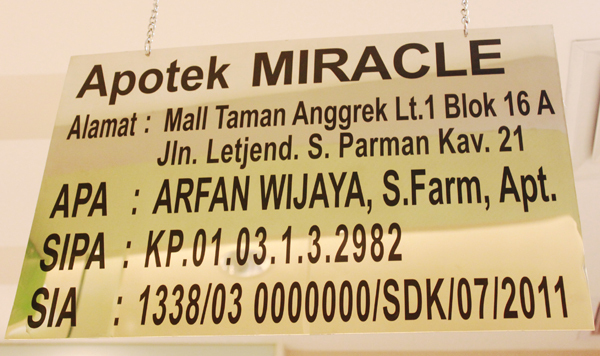 Miracle Clinic has so many branches all over Indonesia, there are three branches in Jakarta, they're in Kemang, Taman Anggrek Mall, and Kelapa Gading. I went to Taman Anggrek Mall because its the nearest one from my house! The place is actually much bigger than I expected, because it's located in a mall, I thought the place was going to be cramped. 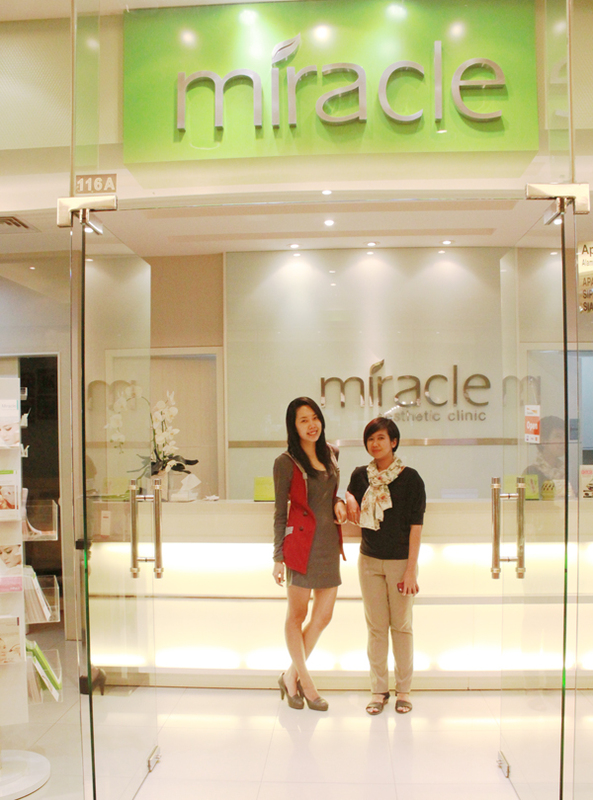 Miss Beatrix (Marcomm Manager of Miracle Clinic), the one I took picture with, said that Taman Anggrek branch is the smallest one of all branches in Jakarta, but I think the place is nice, cozy and also busy too!! People come and go all the time, the place was packed with visitors! All the rooms are so clean and hygienic! 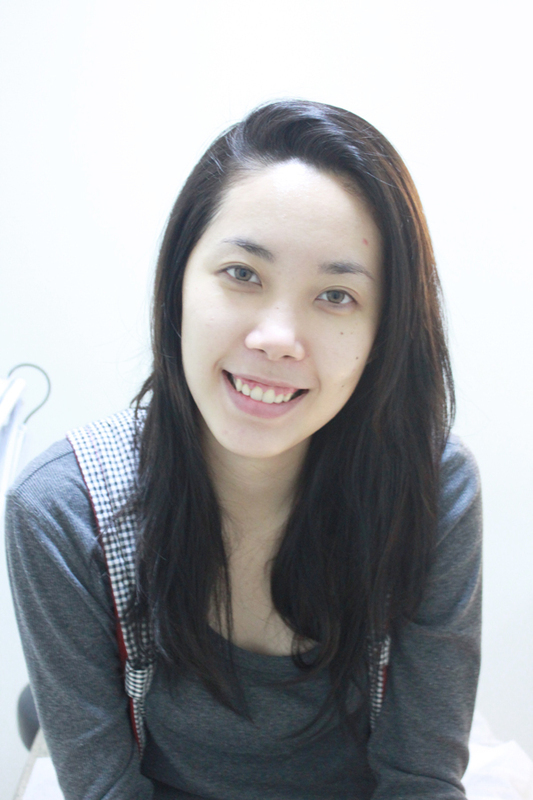 I got no makeup on, only drew my eyebrows and put some lip balm. 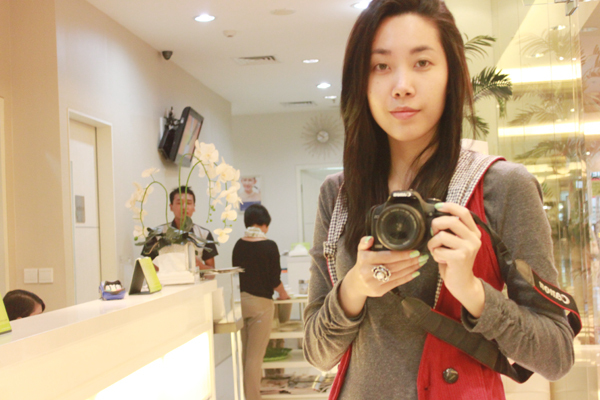 I was going to clean my face for the treatment anyway, there was no need to put makeup on heheh. 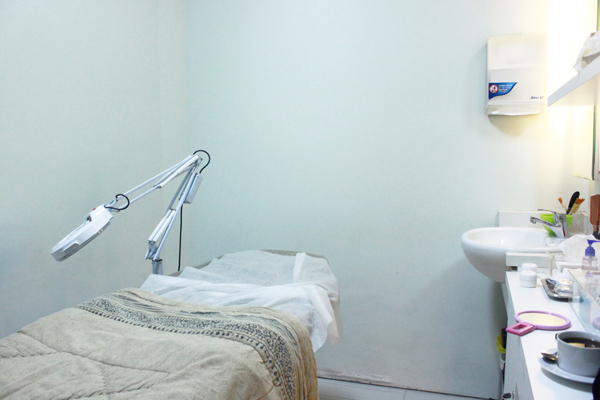 What is Diamond Peel Plus? A mechanical peeling that combines microdermabrasion with dermal infusion. 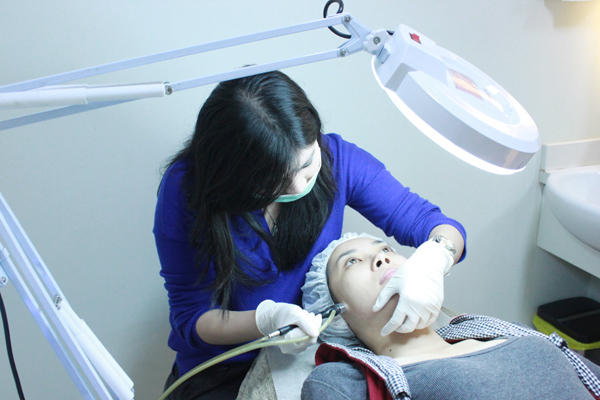 Microdermabrasion aims to remove dead skin cells using a diamond tips, while aiming to enter the dermal infusion solution that is suitable with skin problems. The treatment process is relatively short, visible results, no pain, and it doesn't cause injury. 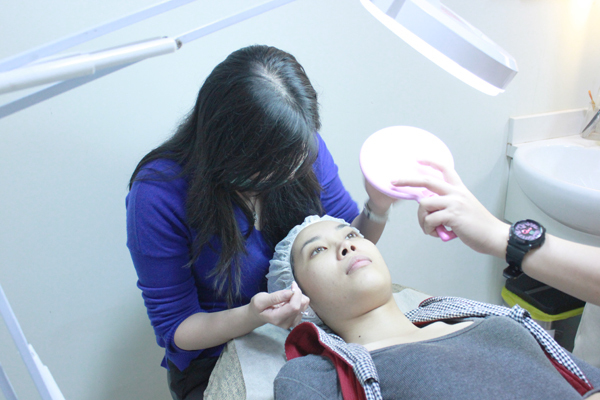 Moving on to the Diamond Peel Plus treatment, there are some steps to be done, from cleansing, toner, serum, moisturizer then lastly sunblock. 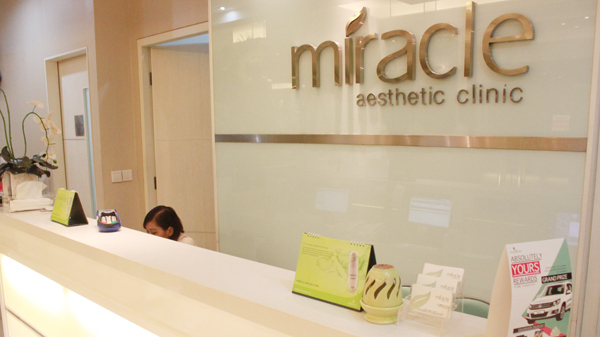 The steps are pretty much the same with our skincare regimen, but Miracle uses high tech machine to improve dull skin, hyper pigmentation, acne scars, and also lifts your skin. 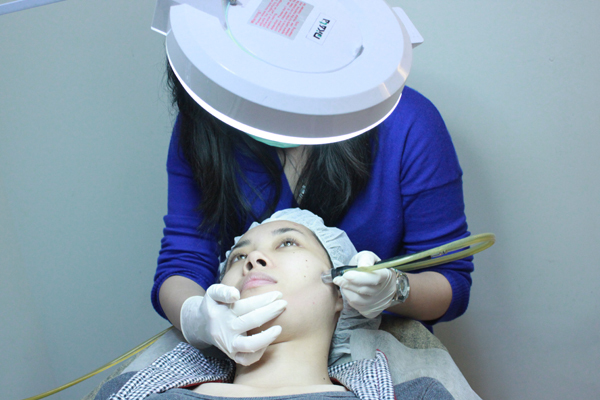 Basically the machine works to peel dead skin cells and inject serum to our skin. So first thing first I got my face cleaned up from makeup and dirt, the therapists always wash their hands and spray antiseptic solution before touching your face. Cleanliness: check! All the hair cap and sponge that's used to clean your face are disposable, so they always use new products for every customer. Sanitation: check! 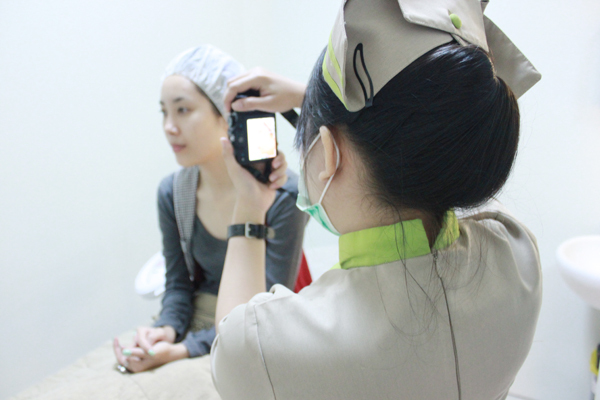 The therapist will also take your photos so you can see the before and after treatment for yourself! Usually the Doctor will do half of your face first so you can see the difference. Dr. Jill was checking on my skin, my skin problem is hyper pigmentation and dull skin, she said I have to use sunblock regularly, then I was like 'She knows I rarely use sunblock!! O_O' hahahah! So this treatment can be used for different types of skin problem, its because the doctor will check your skin first, and give you the serum depending on your skin needs, the one that I need is for clarifying and brightening, you may need different types of serum that suits your skin. The machine will always be sterilized first before use. It is really important, because most clinics do not really care about hygiene and sterility of the tools and materials used. HIV and hepatitis can be transmitted through sponge, therapists or customers hands, extractor and tools (e.g. needles) used. This can occur due to contact of the tools with bleeding, or blood or serum that may come out on the extraction of blackheads. 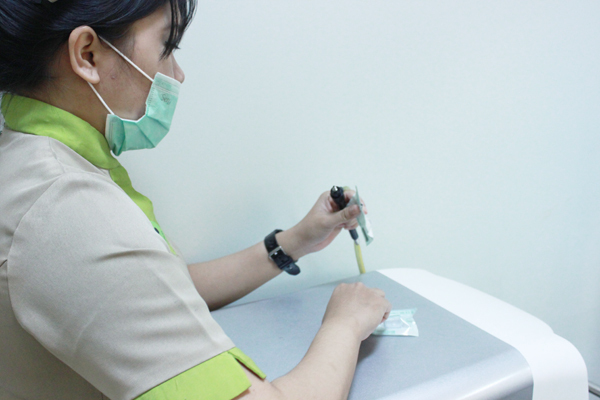 Miracle Clinic has Miracle Sterilization Program that provides protection for the customers in order to avoid the transmission of HIV and hepatitis by using equipment that is sterilized by autoclave (sterilization according international standards) that used in hospital. Sterilization: check! 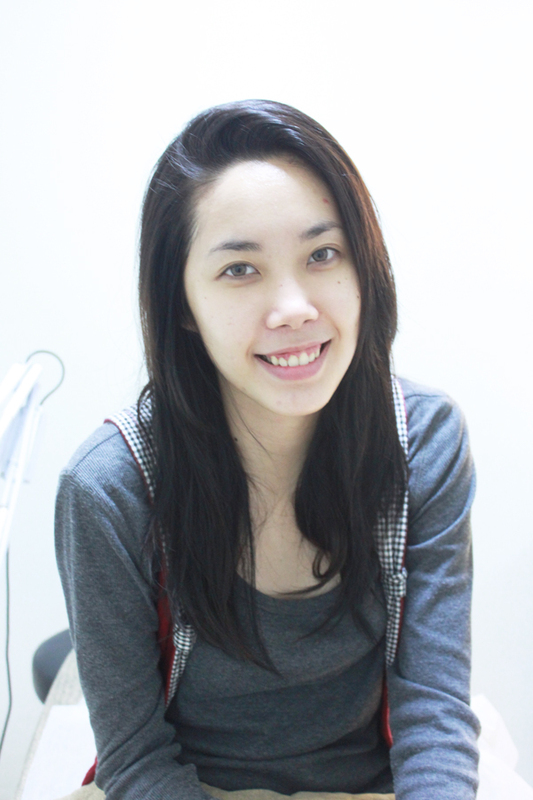 You can see a visible result after one treatment, your skin will become clearer and brighter after a single treatment! Dr. Jill worked really fast, she's so experienced and kind, she also treated my neck so my face and neck wouldn't look patchy hahaha. It really brightened up my skin!! LOVES IT!! Hi there! Your write up was quite helpful. I wanted to know if you could share how much this process has cost you? 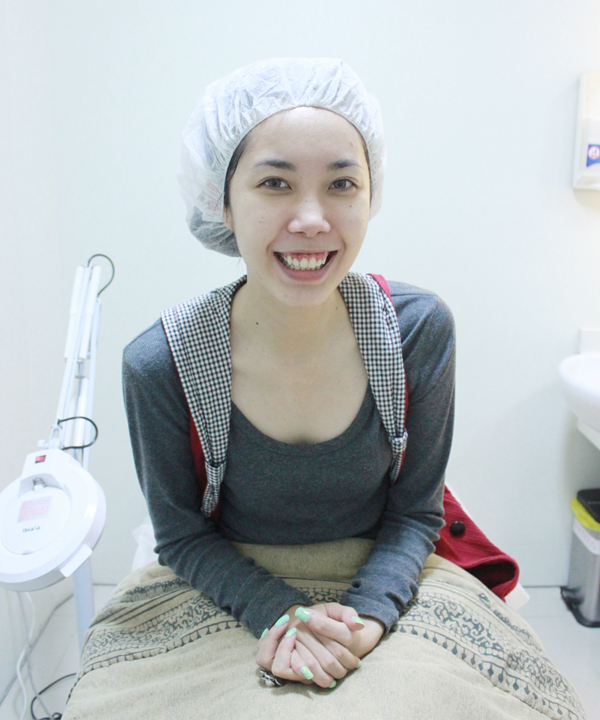 Also are the results of diamond peel plus temporary or permanent?